OTTAWA — Justin Trudeau, the leader of the Liberal Party, was sworn in as prime minister of Canada on Wednesday morning, ending nearly a decade of Conservative dominance. Mr. Trudeau and his new cabinet took the oath of office at Rideau Hall, the official residence of the country’s governor general, David Johnston. They arrived shortly after Stephen Harper, the departing prime minister, tendered his resignation. Mr. Johnston, as Queen Elizabeth II’s representative, fulfills most of the duties of head of state here, including administering the oath of office to government ministers. The ceremonies have much less pomp and presence than, say, the inauguration of United States presidents. Though the swearing-in took place inside before a small invited audience, Mr. Trudeau broke with recent tradition by inviting the public onto the grounds of the residence, where two giant television screens allowed people to watch the quite repetitive and prolonged proceedings. Appropriately for a prime minister who promised bring “sunny ways” in his victory speech last month, the sky was clear and the temperature warm for a November day. The celebratory and enthusiastic crowd on the tree-lined lawn and Mr. Trudeau’s embrace of many of its members after the swearing-in, often combining hugs with poses for selfies, contrasted markedly with Mr. Harper, a reserved leader who famously said that politics was not a popularity contest. The composition of the new cabinet was revealed at the ceremony. As Mr. Trudeau promised during the election campaign, half of the 30 cabinet ministers are women. Though the new cabinet includes several members of Parliament who served in previous Liberal governments, it features rookie politicians in several key positions, including the ministries of finance, justice and the environment. The cabinet now has members of several ethnic groups, two disabled people, an openly gay politician and two aboriginals, one of whom, Jody Wilson-Raybould, a prosecutor from British Columbia, holds the key justice post. In remarks after the ceremony, Mr. Trudeau said he had appointed “a cabinet that looks like Canada.” He also said repeatedly that his government would abandon the highly centralized approach favored by Mr. Harper, who ran large parts of the government from his own office rather than delegate authority to his ministers. “There is going to be a period of slight adjustment in the political world in Canada because government by cabinet is back,” Mr. Trudeau said. Mr. Trudeau and his ministers will have little time to adjust to their new roles. Parliament will return on Dec. 3. And before then, Mr. Trudeau, with some of his ministers, will attend four international meetings. The most challenging will be the United Nations Climate Change Conference in Paris. While Mr. Trudeau has promised to reverse the Conservative government’s approach to that issue, which included Canada’s withdrawal from the Kyoto climate change accord, he has offered no specifics. That’s largely because any action will first require reaching agreement with Canada’s 10 provinces. The government also faces some pressing business left by Mr. Harper. A Supreme Court ruling earlier this year ordered the establishment of a legal and medical system for physician-assisted death by February, but the Conservatives had moved very slowly on the issue. 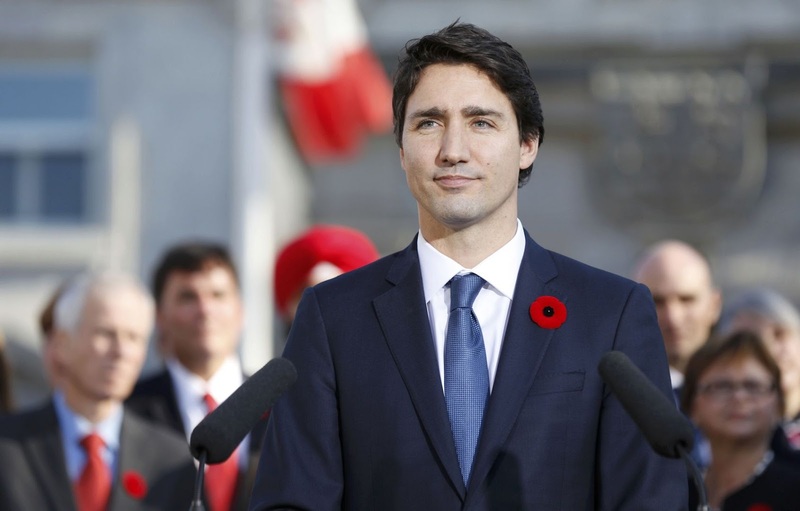 Mr. Trudeau is the first child of a prime minister to become the head of government in Canada. Yet he and his family will not be moving immediately into his childhood home, the official prime minister’s residence overlooking the Ottawa River at 24 Sussex Drive. The 34-room mansion, built in the 19th century for a lumber baron, fell into disrepair long ago. It is poorly cooled in the summer by window air-conditioners; its 50-year-old electrical wiring is strained to the limit; the plumbing is inadequate; and there is asbestos behind some walls and ceilings that needs to be removed. A 2008 report by the Canadian auditor general called for immediate and extensive renovations, after finding that, except for the roof, the building was “in poor or critical condition.” Yet Mr. Harper, like several predecessors, refused to call in contractors, apparently concerned that the public would disapprove of spending millions of tax dollars on the mansion. The work will now be undertaken but probably not completed for two years. In the meantime, Mr. Trudeau and his family will live in Rideau Cottage, a building on the grounds of Rideau Hall. It also dates from the 19th century, but unlike 24 Sussex, it was recently modernized. During his tenure, Mr. Harper tended to avoid public events and news conferences whenever he could, and he kept that up right to the end. Some camera crews positioned near an entrance to Rideau Hall on Wednesday were told to move away and were prevented from recording Mr. Harper’s arrival to perform his final act as prime minister — his resignation.